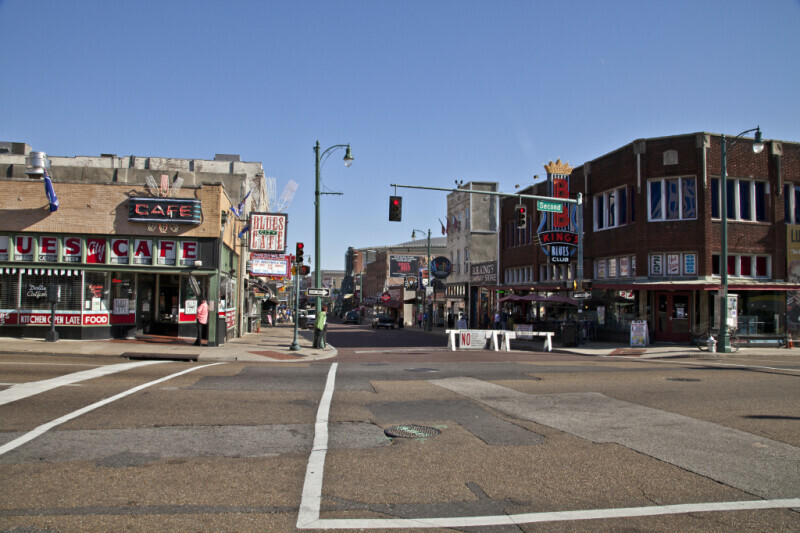 This street scene provides a view of Beale Street in Memphis, Tennessee. This photograph shows the intersection of Beale Street and South Second Street, looking toward the east. The photograph includes numerous commercial signs, traffic signals, street lamps, and historical buildings.